We love learning with thematic units, particularly in preschool and early elementary. Last week, we put together a wildflower unit study for upper elementary, but this week, it’s all about the little ones. This thematic unit centers around wildflowers, but includes activities for preschoolers and children up to age seven. 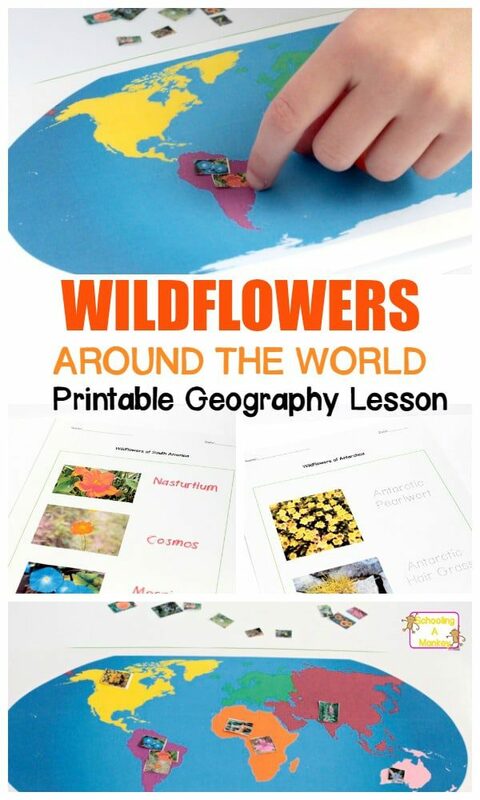 My preschooler loved learning more about geography and wildflowers at the same time with the printable flowers around the worksheet pack I made. 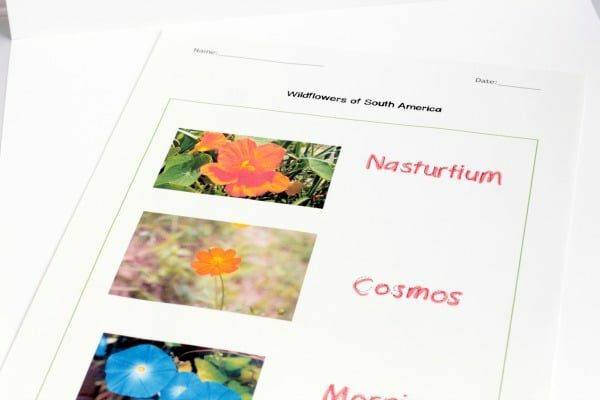 Kids will love learning about where flowers come from in this fun wildflower worksheet pack. Visit the end of the post to find more wildflower activities to build a complete flower unit study for little ones. It’s the perfect addition to your spring STEM activities! 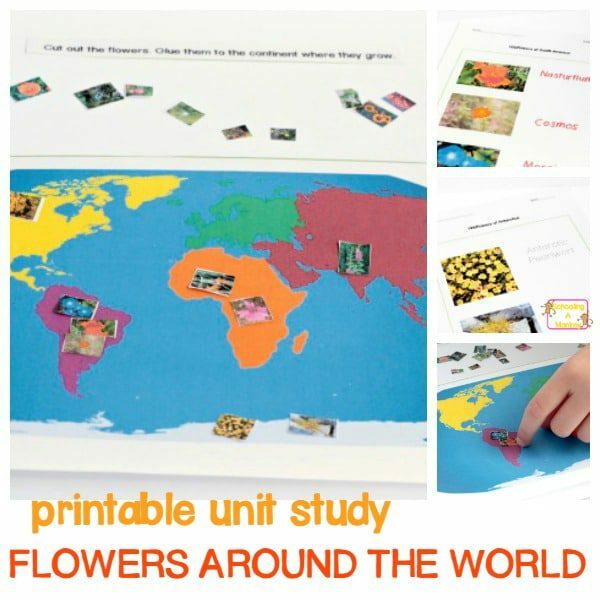 In the flowers around the world printable pack, kids learn about what types of flowers grow on each continent. 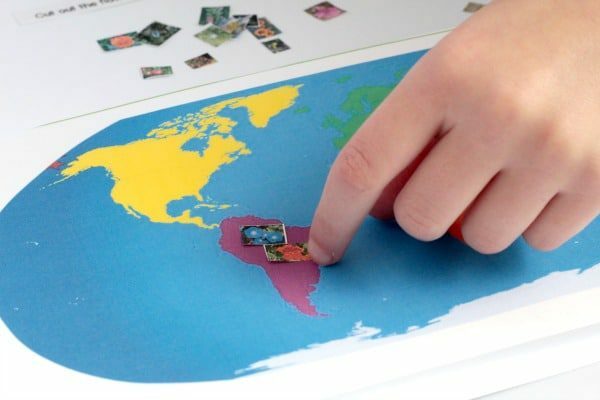 In the printable pack, kids will learn what flowers are native to which continent, trace and write the names of each flower, and complete a matching activity matching the flowers to the correct continent. 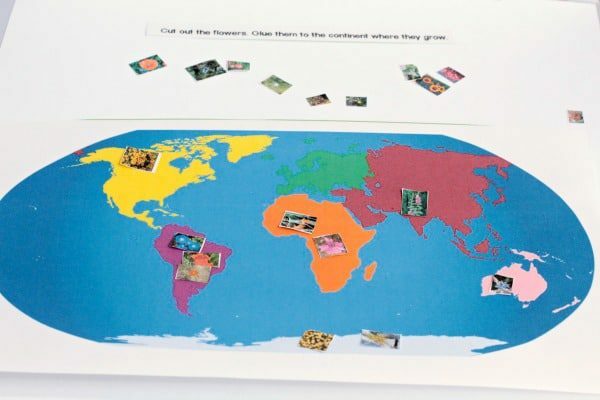 My kids loved learning about the flowers, where they came from, and sorting them by native continent. Even though I made this printable set for my preschooler, my 5th grader also loved completing the activities. She didn’t know what flowers were native to which continent either, which she was interested to learn. Her favorite part was finding out that Antarctica does actually have two native plants, although only one is a flower. The other plant that grows in Antarctica is a grass. Get the flowers around the world pack here! Find more unit study ideas here!